From a logistical standpoint, Auburn, Alabama and Kentucky are far apart from each other and different in many ways. But for thousands of students who hail from the Bluegrass State, Auburn, in particularly, Auburn University’s College of Veterinarian Medicine (AU Vet Med), has been a home-away-from home for nearly three generations. 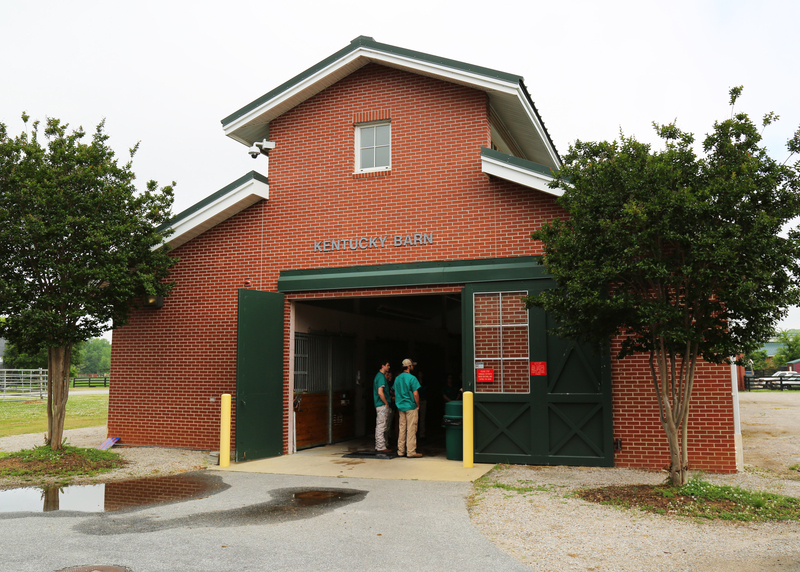 During the past 65 years, veterinary science students from Kentucky have had the opportunity to apply to the prestigious vet school at their in-state tuition rate thanks to a partnership between the Commonwealth and the college. That agreement has become so prevalent, over half of the current practicing veterinarians in Kentucky are Auburn graduates. In recognition of that partnership, two Kentucky graduates, who were among that first class under the agreement, recently came back to the campus to be recognized during graduation week activities. Dr. Abram G. Allen, Jr., who continues to practice veterinary medicine at Reidland Veterinary Clinic in Paducah, Kentucky and Dr. Steele Mattingly, who focused on laboratory animal medicine at the University of Cincinnati, celebrated the occasion along with their classmate and Alabama native Dr. John Thomas Vaughan, who became the fifth dean at AU Vet Med. These individuals represented the Class of 1955. In 1949, Dr. Redding S. Sugg, the third dean of the College, helped found the Southern Regional Education Board (SREB), and through that board this partnership began in 1951. A total of 12 Kentuckians participated that first year. Today, approximately 38 students from Kentucky are accepted annually through the agreement. Dr. Dan Givens, a Kentucky native from Greensburg, serves as Dean of Students at AU Vet Med. He said the Commonwealth’s students are an integral part of the overall program. Dr. Brandi Brunson, senior lecturer in AU Vet Med’s Department of Anatomy, Physiology and Pharmacology had the monumental task of chairing the committee which reviewed the Kentucky applicants for the incoming class. She said all the students are excellent and choosing is difficult. Brunson also noted that, for students thinking about a career as a veterinarian, the sooner they begin to explore the career even at the high school level, the better off the students are in their efforts to come to a school like Auburn. “The applicant pools these days are so competitive grade-wise and experience-wise, I tell students anything they can do that sets them apart in their academic and extra-curricular activities is certainly a benefit for application processing,” she said. Kylye Roberts and Tamara Compton are two current Kentucky students attending AU Vet Med. Both said had it not been for the SREB agreement, vet school may have been out of the question. The Kentucky members of the AU Vet Med class of 2016 posed for a photo with members of the first AU Vet Med to graduate under the Kentucky-Auburn agreement. Compton, who did her undergraduate studies at the University of Kentucky (UK), said without the in-state program at Auburn she definitely wouldn’t be there nor does she know what she would have done from a college and career standpoint. That Auburn connection remains with the students who attend long after they graduate. Dr. David McClary, who works for Elanco Animal Health as a senior technical consultant in the company’s dairy business unit, said without the partnership, he doesn’t know how students, especially in today’s world, would get their education in veterinary medicine. McClary, is from Scottsville, Kentucky, and graduated from Western Kentucky University before coming to Auburn to get his veterinarian degree in 1974. After working in mixed animal practices, he came back to Auburn to do a residency and served as an assistant professor there before going into industry-related work to conduct research. Dr. Wade Northington is another Kentuckian who came to Auburn by way of the SREB partnership. His career included starting a large veterinary practice in West Kentucky, serving as a professor at Murray State University and director at the Breathitt Veterinary Center in Hopkinsville. He said, first and foremost, the agreement between Auburn and Kentucky opens the door for students to receive a world-class veterinary medical education. Northington, who was recognized as a Distinguished Alumni during the 2016 graduation ceremonies, emphasized that Kentucky receives great value from this long standing relationship and all efforts possible should be taken to preserve, and expand, this “tremendous opportunity” for its students. He also noted the efforts made by Kentucky Farm Bureau over the years in supporting the program to increase the number of students included in the agreement. 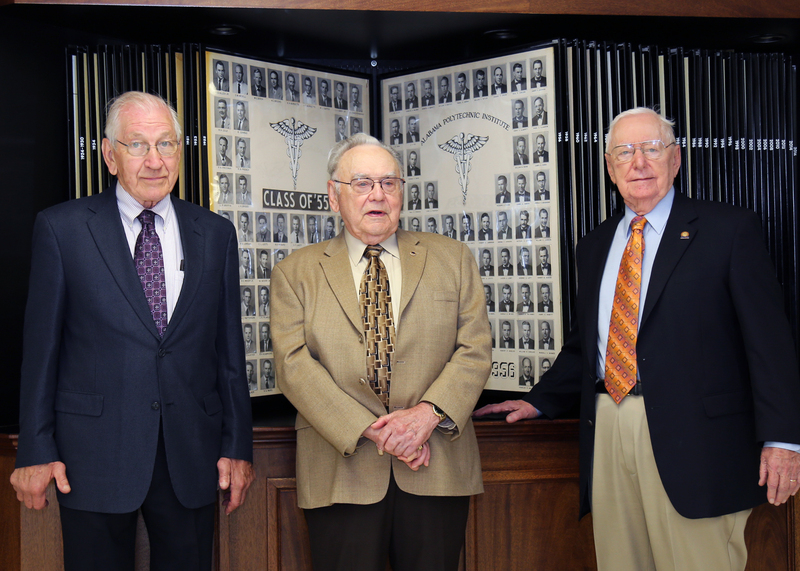 The class of 1955 honorees enjoyed several events during their visit to Auburn including being recognized at a UK-Auburn baseball game, a dinner where many stories of their days at Auburn were shared, and a tour of the AU Vet Med facilities. The celebration was capped by recognition during the graduation ceremony which included comments from both Kentucky’s Agriculture Commissioner Ryan Quarles and Alabama’s Agriculture and Industries Commissioner John McMillian. Mattingly, who worked for a period of time for Pitman-Moore, one of the companies that helped produce the first polio vaccinations, and nationally recognized for his achievements in improving the care of animals in biomedical research, said coming to Auburn for the first time, was a very pleasant experience. 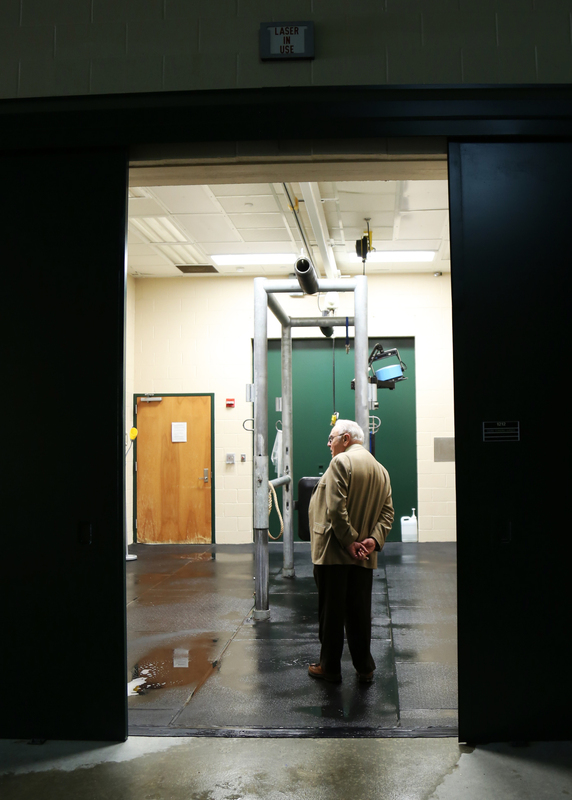 Dr. Allen looked through one of the modern exam rooms located at the AU Vet Med facility. He said many things had changed since began attending in 1951. “Truth cannot be possessed, it can only be shared. If we can share truth’s function objectively, we will never need to possess truth subjectively,” he said. Vaughn, who now serves as Dean Emeritus at AU Vet Med said he remembers being younger than most of those first Kentucky attendees, many of which were war veterans. This led to the Kentuckians taking on a protective role in their relationship with Vaughn. As the class of 2020 makes their way to South Alabama to join the Auburn family, those that have come before them have helped paved the way to a new Kentucky home by way of a partnership that looks to prevail for many more generations to come.